The Palazzo della Ragione in Mantua serves as the backdrop to an important exhibition ‘Marc Chagall. As for Painting, As for Poetry’ dedicated to the work and artistic production of Marc Chagall, one of the authors – alongside with Picasso and Robert Delaunay – that have inspired the production of poets, writers, and militant critics in the twentieth century. 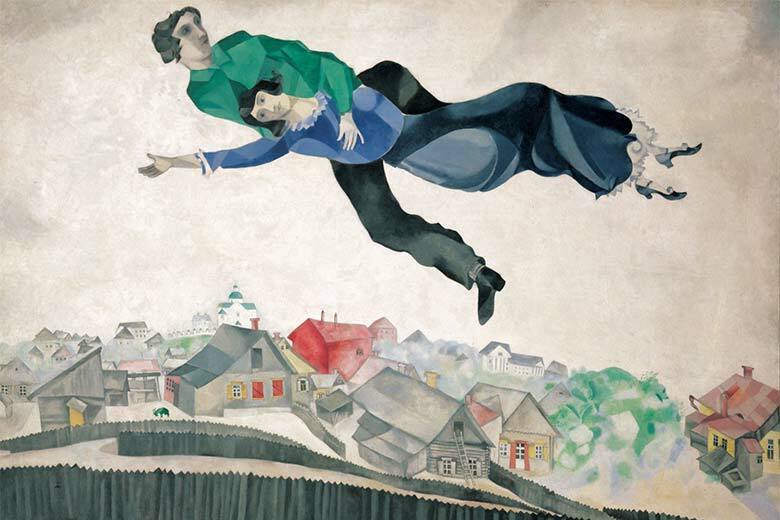 happening in contemporary with Festivalletteratura, one of the major events dedicated to literature, the exhibition showcases over 130 works, including the complete cycle of the seven monumental murals that Chagall created in 1920 for the State Jewish Chamber Theater in Moscow. A selection of Marc Chagall’s most emblematic works including paintings and watercolors dating back between 1911 and 1918 are displayed alongside with the immersive installation Jewish Chamber Theater. The exhibition is further enhanced by a series of etchings created between 1923 and 1939. These include the illustrations for Gogol’s Dead Souls, for La Fontaine’s Fables, and for the Bible.